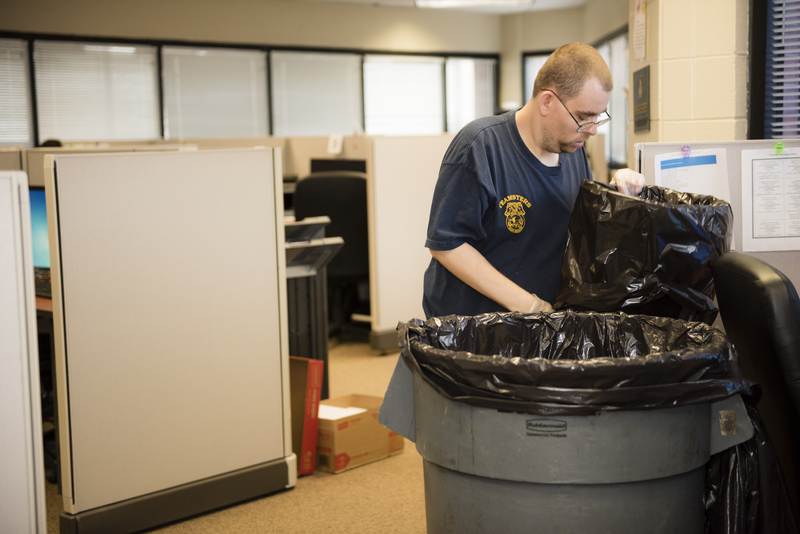 The Vocational Training Program (formerly called Work Adjustment Program) offers industrial and janitorial training for people who are blind, visually impaired or multi-disabled. Participants (trainees) acquire marketable skills and develop appropriate workplace behaviors in preparation for competitive or supported employment. They perform actual job duties and receive an hourly training wage. In addition, they have access to other Lighthouse services, including mobility instruction, Braille lessons, job readiness training, vision care and social services, as needed. The length of training varies from eight weeks to one year, depending on individual needs and goals. Trainees work in a factory setting and perform assembly and packaging tasks in the production of wall clocks and other consumer goods. They learn to use tools and operate machinery. Some qualified trainees perform material handling duties, such as supply and inspection, as well as shipping and receiving. Trainees learn all aspects of building maintenance by working with Chicago Lighthouse janitorial staff. Duties include cleaning the cafeteria, common spaces, offices and hallways, as well as garbage pickup duties. They also learn to operate power equipment for stripping, waxing and buffing of floors.